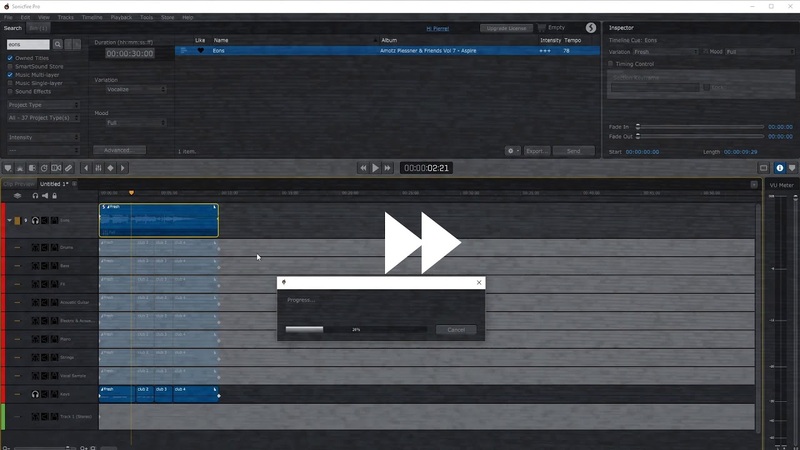 Learn how to customize music tracks in Sonicfire Pro 6 for use with Continuum’s Beat Reactor to generate audio driven visual effects. Beat Reactor is a filter which displays a spectrum graph including vertical bands representing the audio levels within various frequency ranges. Use the graph to target particular elements within the audio track for use in generating keyframes. Combining Sonicfire Pro’s drag and drop features and 4,500+ music tracks with Continuum’s library of effects like organic strands and film glow - you will be amazed at the audio-driven VFX you can produce quickly.